HP DeskJet 2624 Wireless All-In-One Instant Ink Ready Printer Just $19.99! Down From $50! 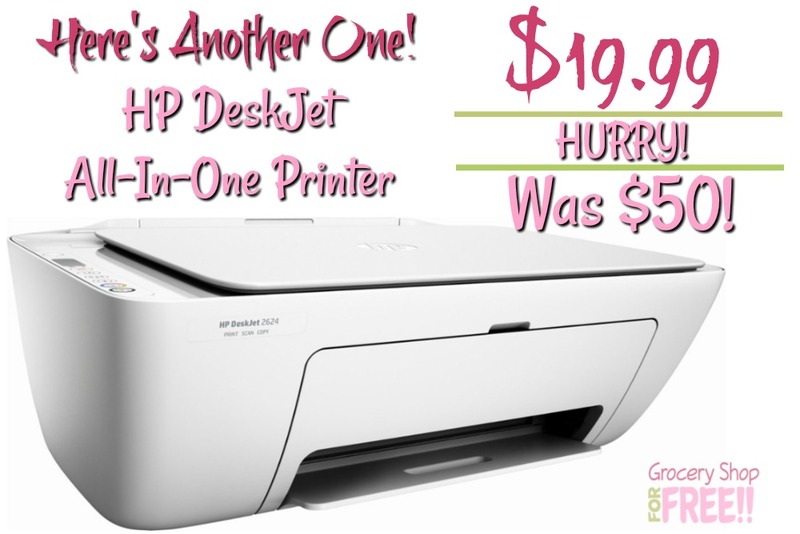 You are here: Home / Great Deals / Christmas Deals / HP DeskJet 2624 Wireless All-In-One Instant Ink Ready Printer Just $19.99! Down From $50! Here’s another great printer deal! This would be great for coupon printing and list printing, getting organized in the new year, or a great Christmas gift! Grab this HP DeskJet Wireless All In One Instant Ink Ready Printer for just $19.99 – down from $50 right now! Includes ink cartridge and network indicator lights, plus wireless, ePrint, power and resume buttons with lights. One high-speed USB 2.0 port offers a standard connection to your PC or a simple way to plug in and print with a USB drive, camera or other device. **Requires a high-speed Internet connection. *Print speeds vary with use. See manufacturer for information on print speeds.